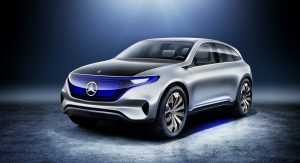 Mercedes finally unveiled the Generation EQ concept, a SUV coupe study that previews a new family of electric vehicles under the new EQ brand. 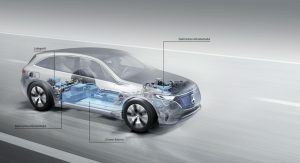 Power comes from a pair of electric motors that produce up to a combined 402hp and 516 lb-ft (700Nm) of torque, thanks to the system’s scalable battery components, with the power transmitted to all four wheels permanently. 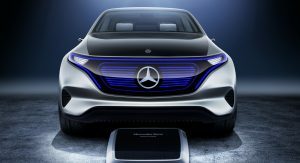 The company claims a driving range of up to 310 miles (500km) on a single charge with the battery pack mounted between the axles. 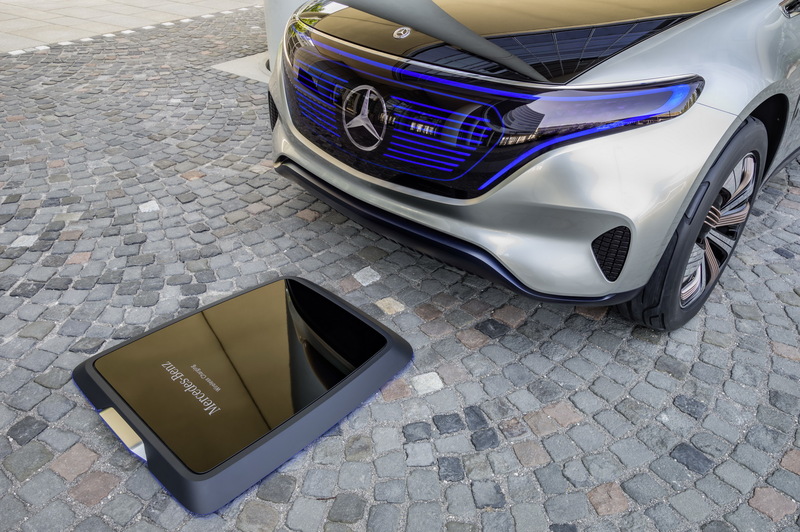 Speaking of which, the lithium-ion batteries are made from Daimler themselves, with a model-specific total capacity of over 70kWh. 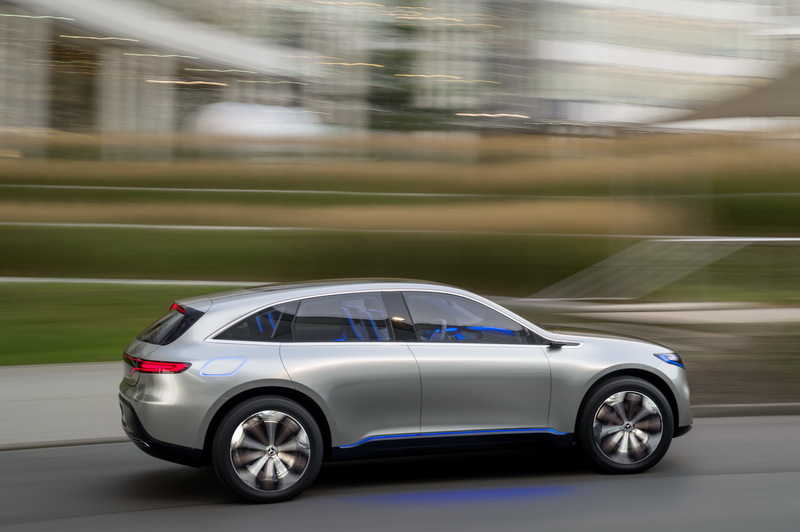 0-62mph (0-100km/h) comes in under 5 seconds. 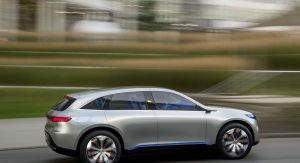 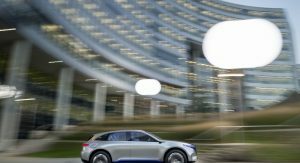 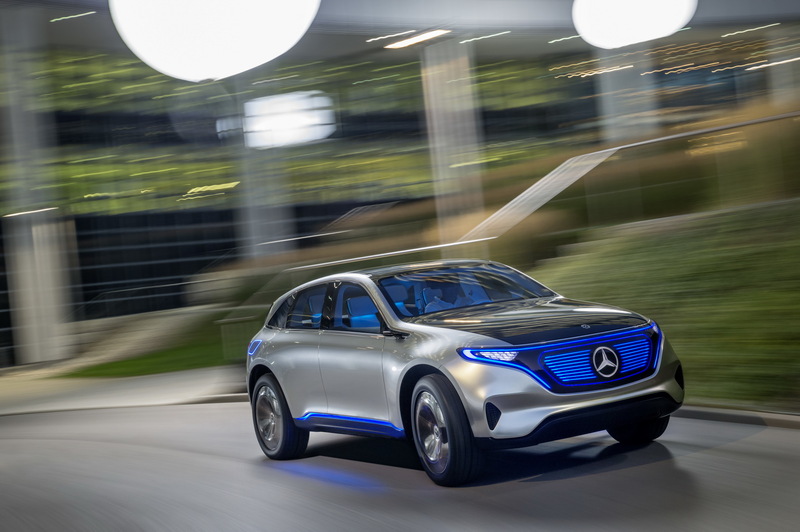 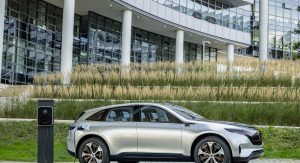 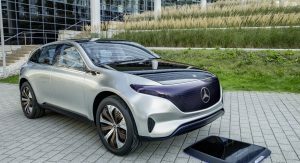 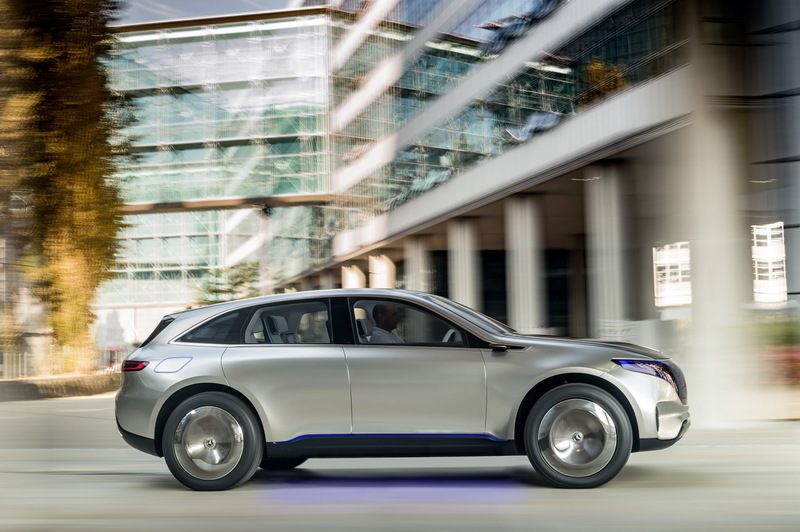 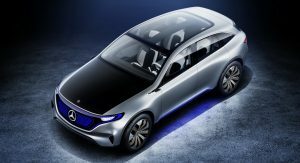 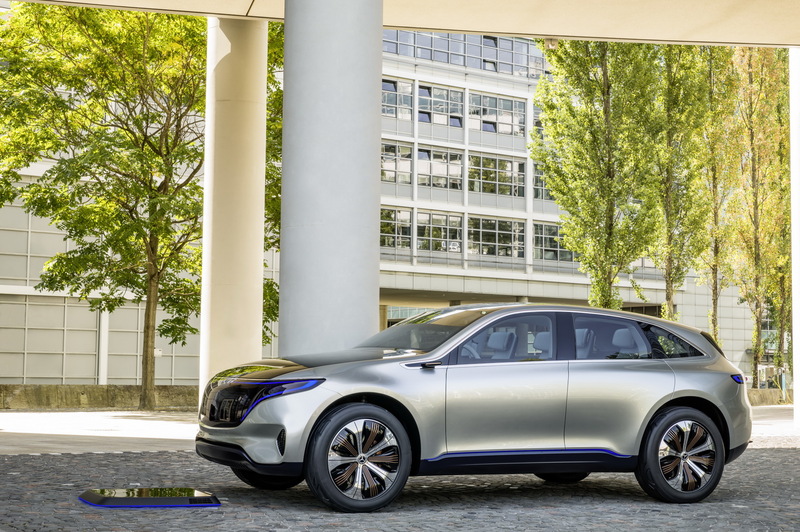 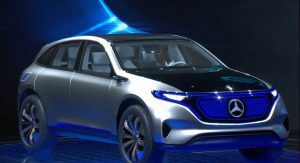 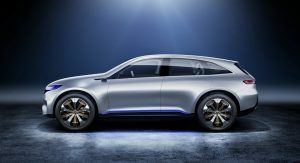 Mercedes opted for an SUV to be the first of its new electric family of models, thanks to the ever-increasing popularity of the segment. 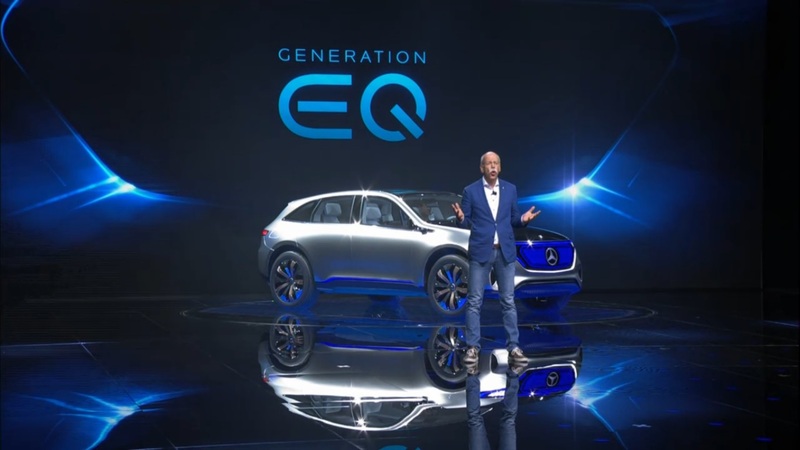 Design-wise, the company made the Generation EQ look dynamic but with really clean lines. 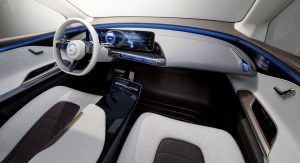 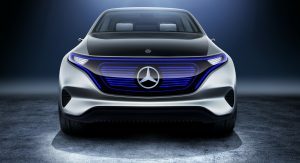 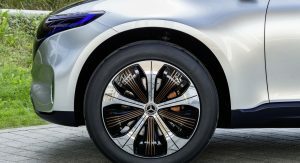 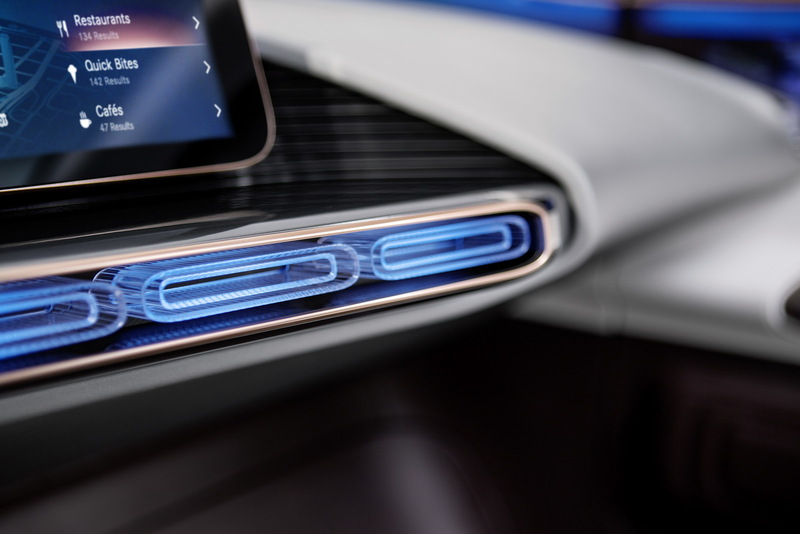 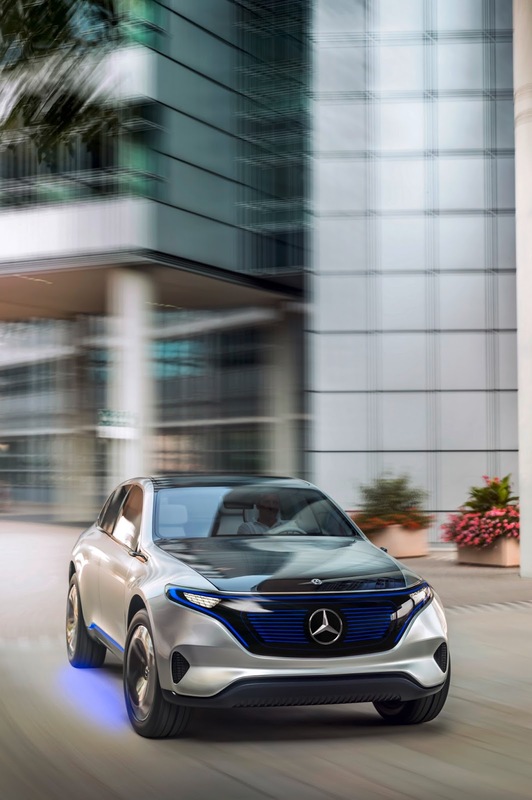 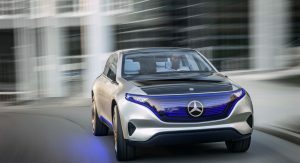 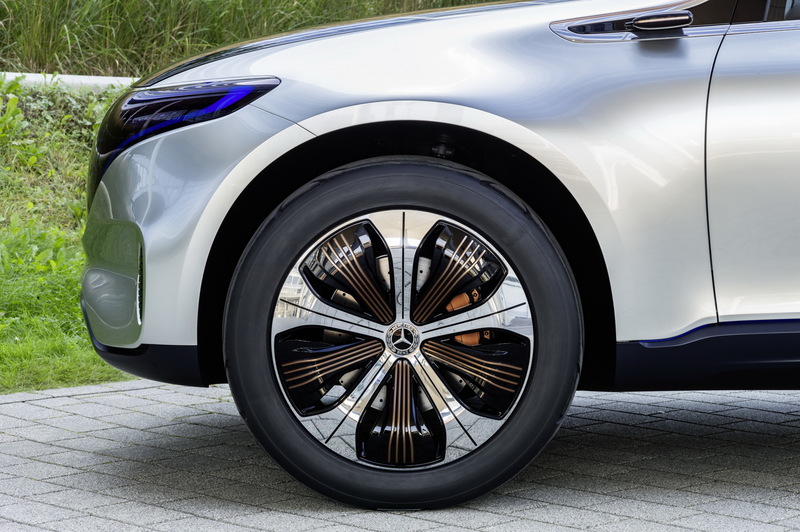 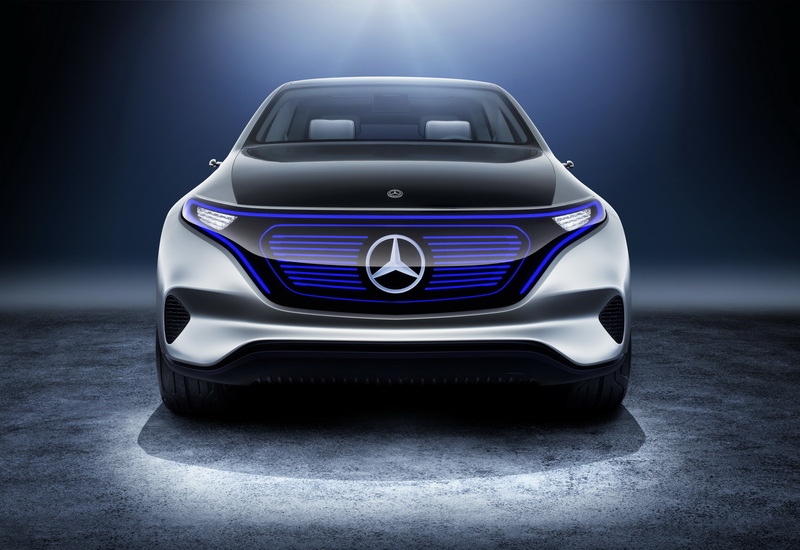 The main design feature that will distinguish all future ‘Generation EQ’ electric models is the Black Panel front grille which bears a white-illuminated Mercedes star and integrates all the light elements under one surface. 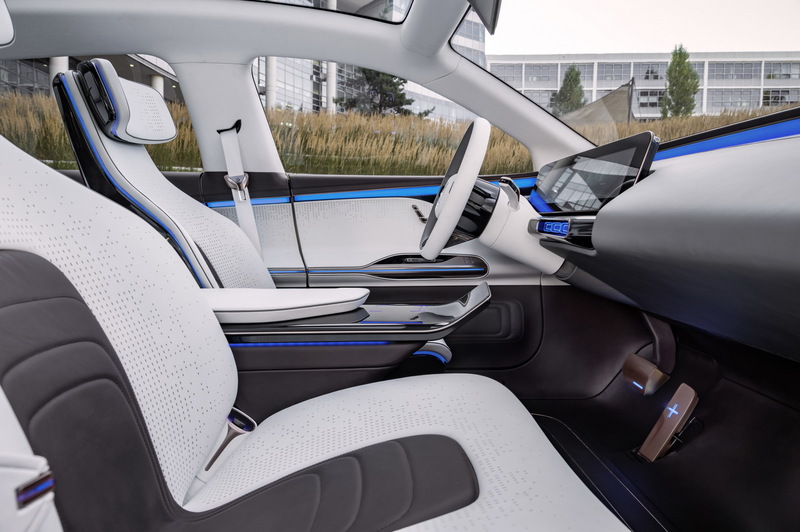 The cabin hosts four individual seats which have speakers integrated to their headrests for a better sound experience. 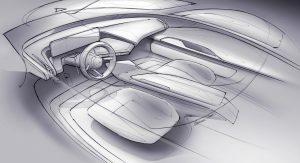 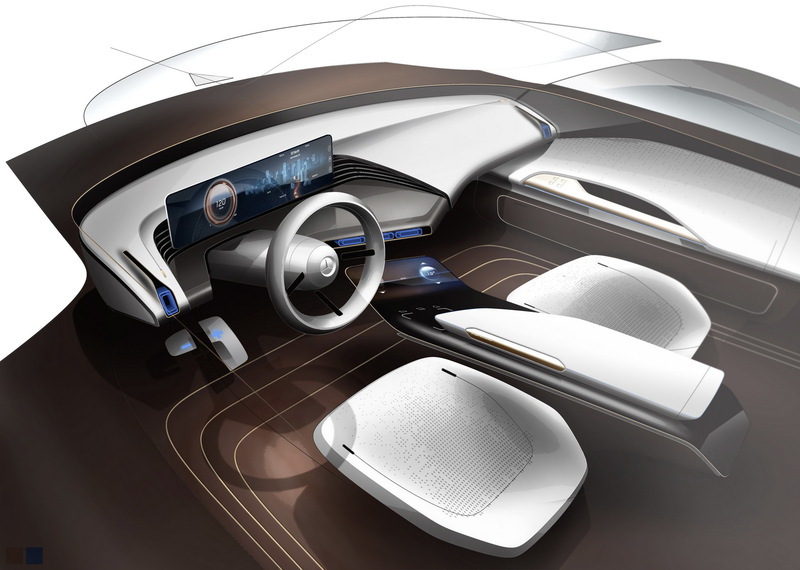 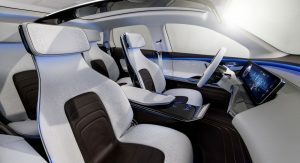 The rose gold trim on the center console and on the door handles will please most of Apple’s fans while a big, ultra-wide modular display can be found behind the steering wheel. 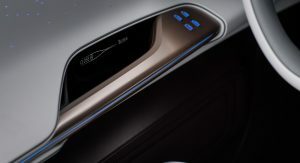 Another set of displays are integrated into the front backrests. 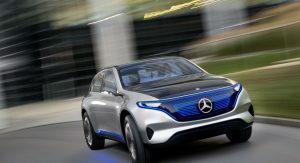 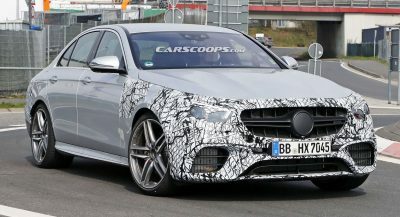 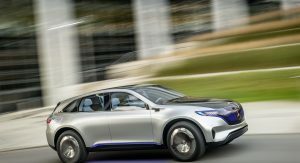 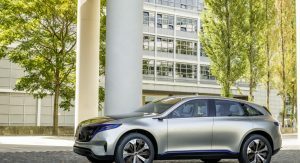 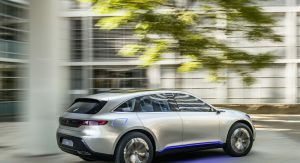 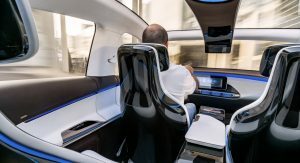 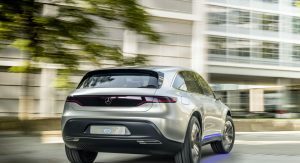 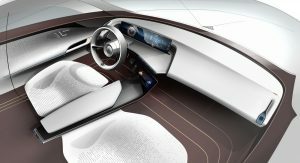 Mercedes said that they are developing a new, modular architecture which will be exclusive to electric vehicles of their new EQ sub-brand, with the Generation EQ concept to be the first one to reach production in 2019, making it a genuine rival to the Tesla Model X and Audi’s also planned e-Tron Quattro. 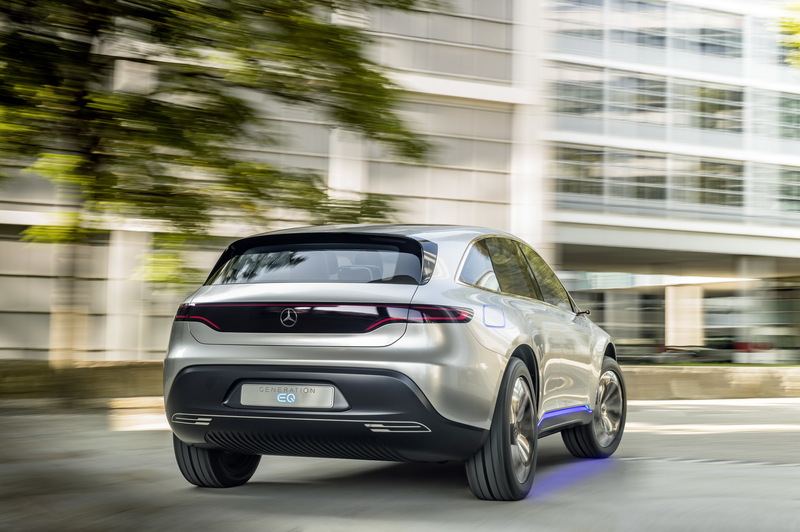 By the time we see the production version of the Generation EQ concept on the roads, the company reckons that charging times will be significantly reduced with the introduction of the European Combined Charging System standard (CCS). 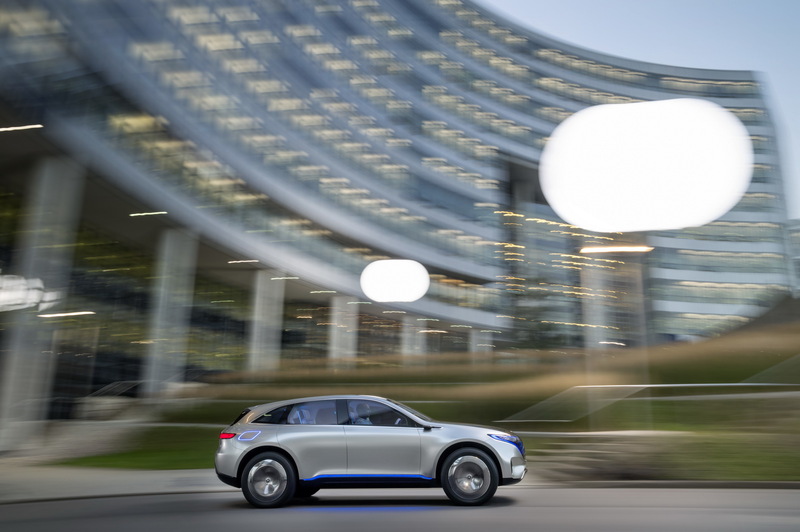 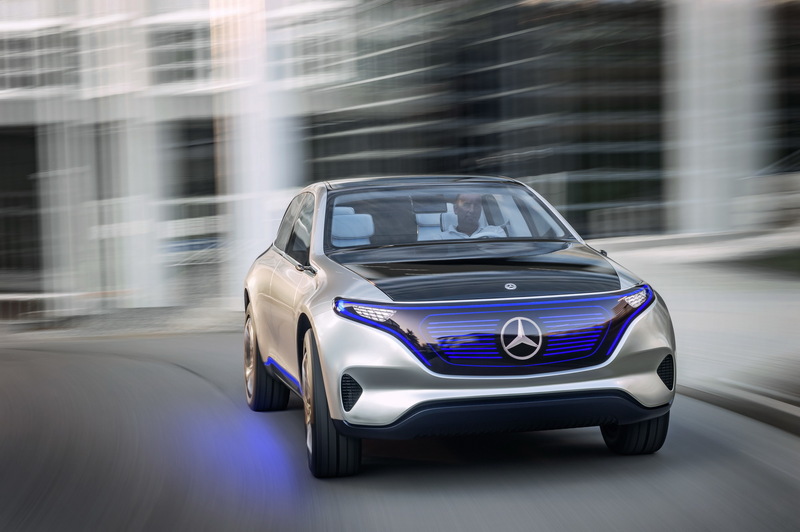 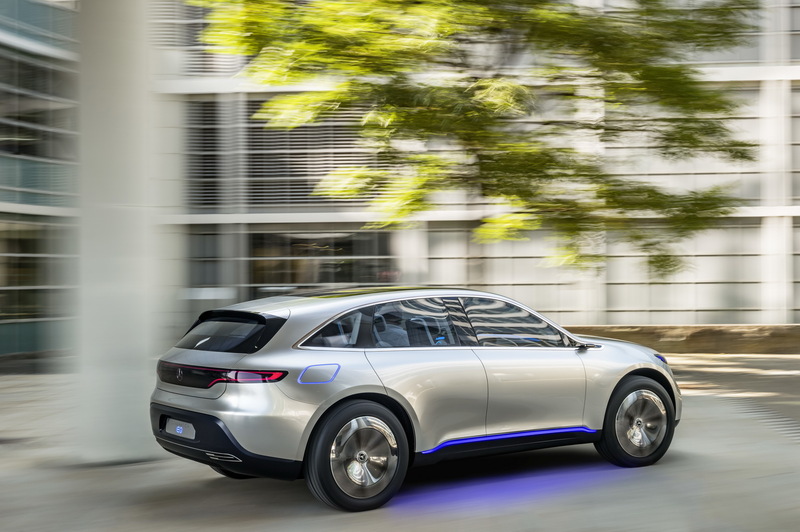 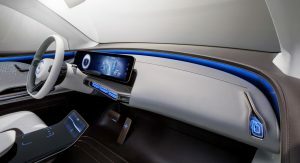 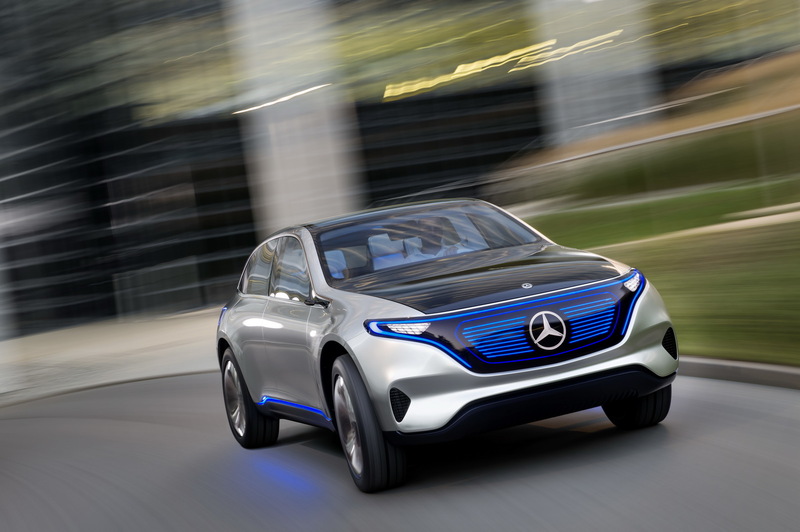 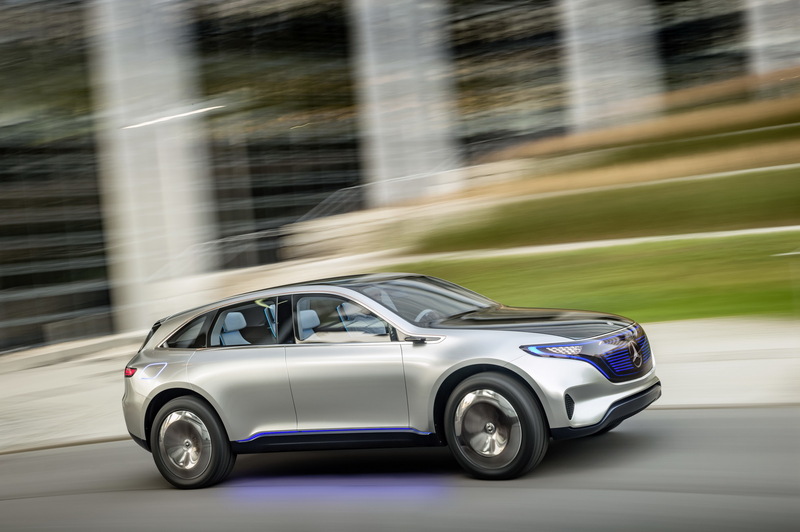 As is now, Mercedes’ electric crossover is capable of wireless, traditional and fast charging. 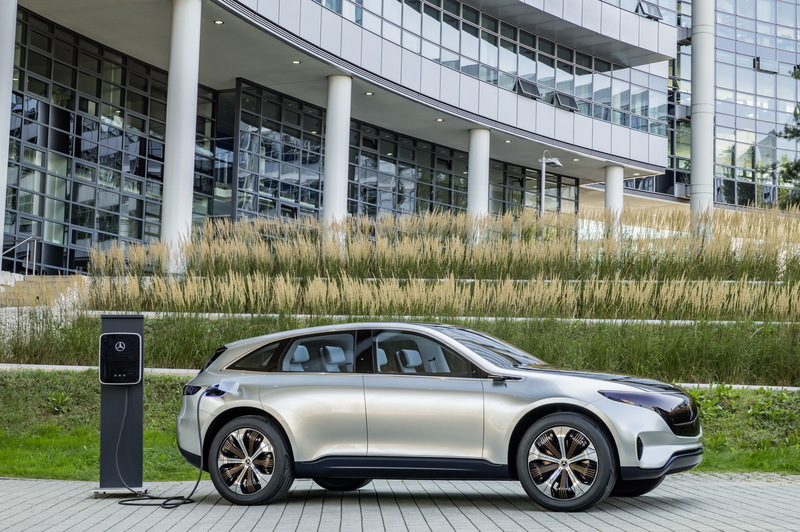 In the medium to long term when a charging capacity of 300kW is planned to be introduced, the company says that five minutes of charge will give their vehicle sufficient power for 100km (62 miles) of driving range. 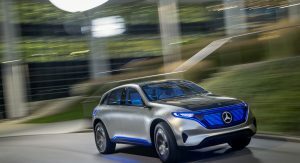 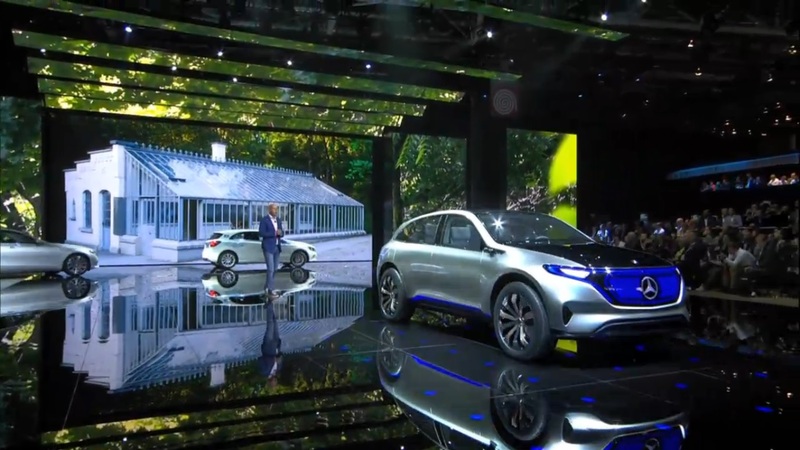 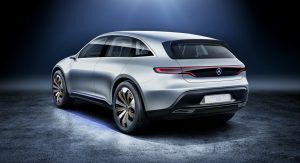 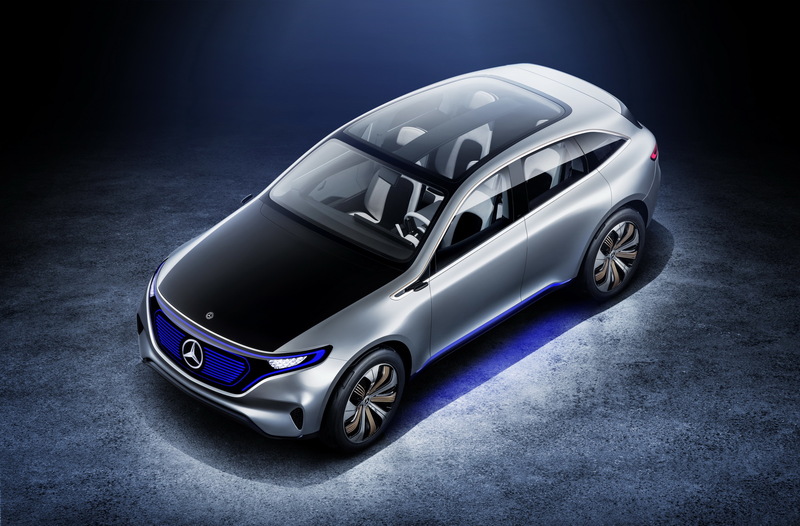 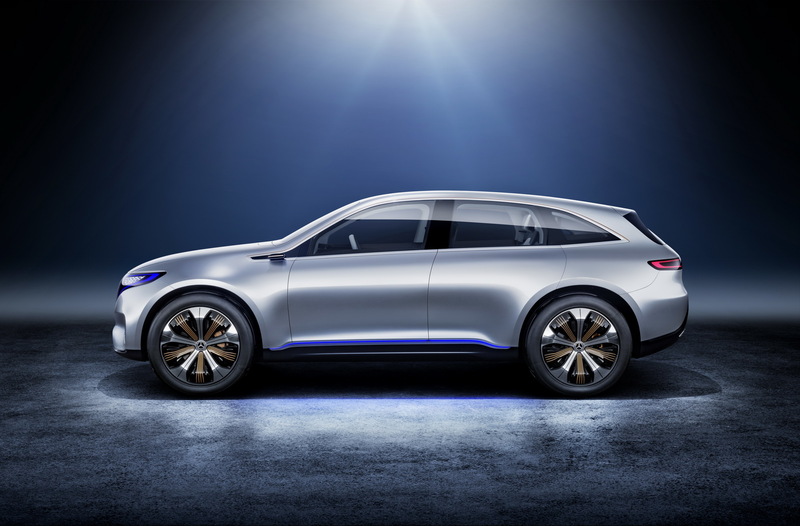 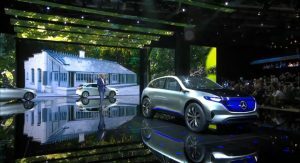 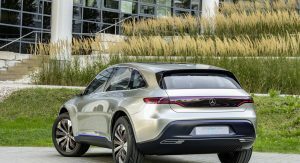 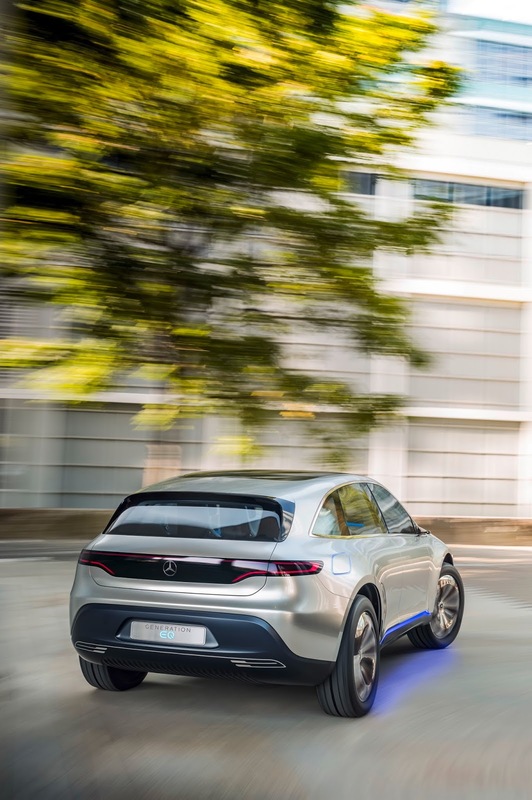 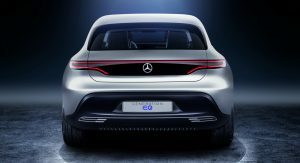 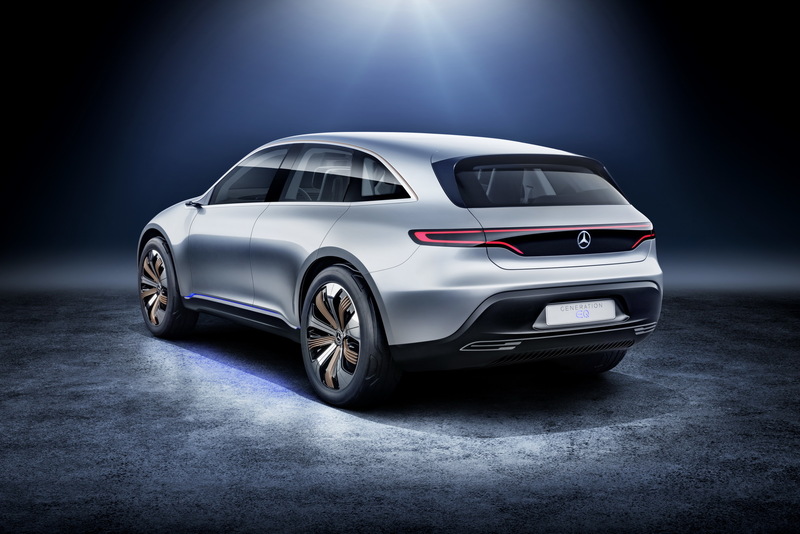 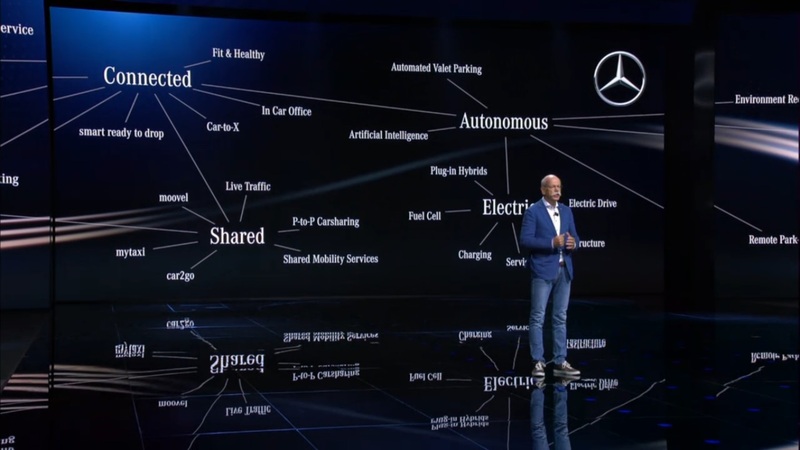 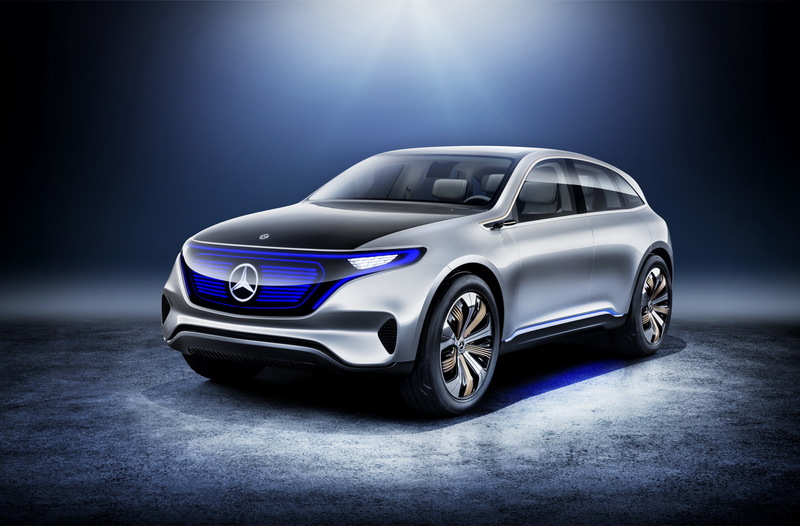 As for the price, Dieter Zetsche said during the official reveal of the car at the Paris Motor Show that their new electric crossover will be at the same price range of a reasonably equipped Mercedes GLC. 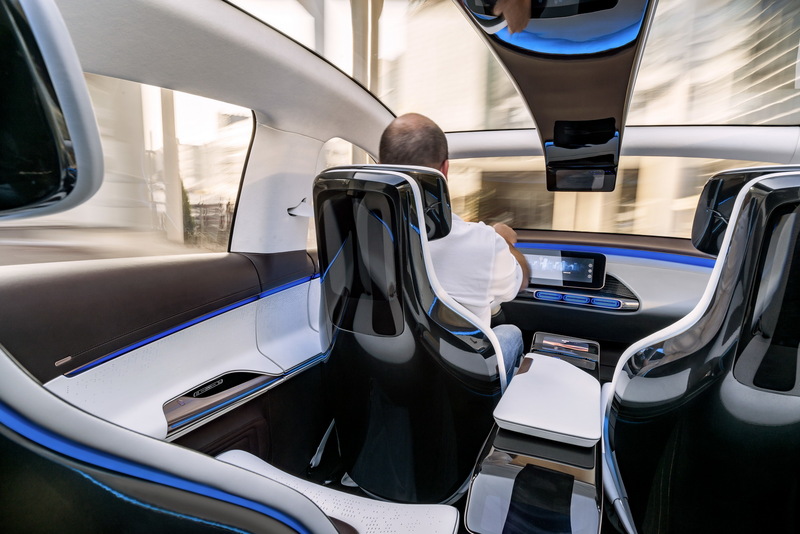 He also said that by 2025, Daimler will have more than 10 fully electric models on the market. 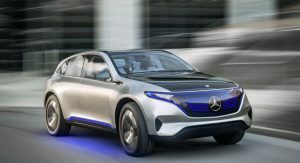 Get rid of the hilarious front! 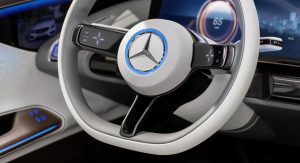 LMAO @ the “+/-” on the “Gas” and brake pedals! 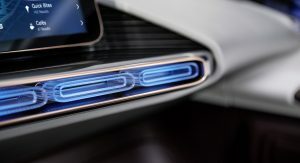 Looks brilliant. 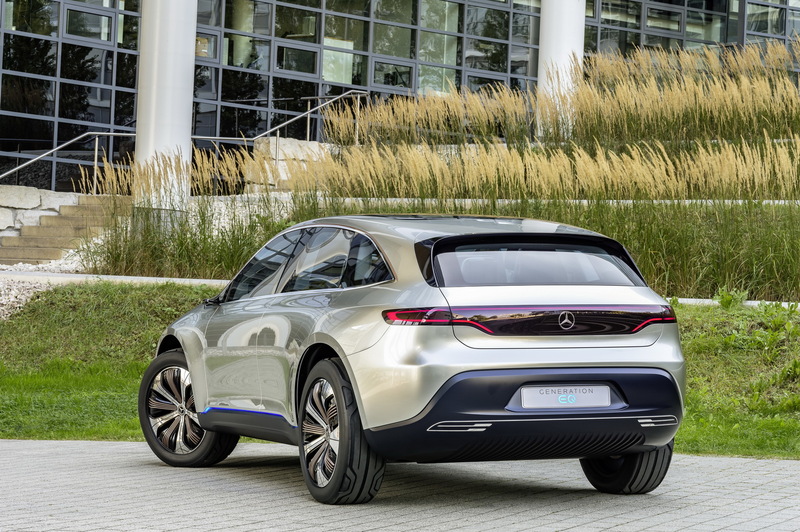 They must’ve seen the Q6 concept and really stepped their game up. 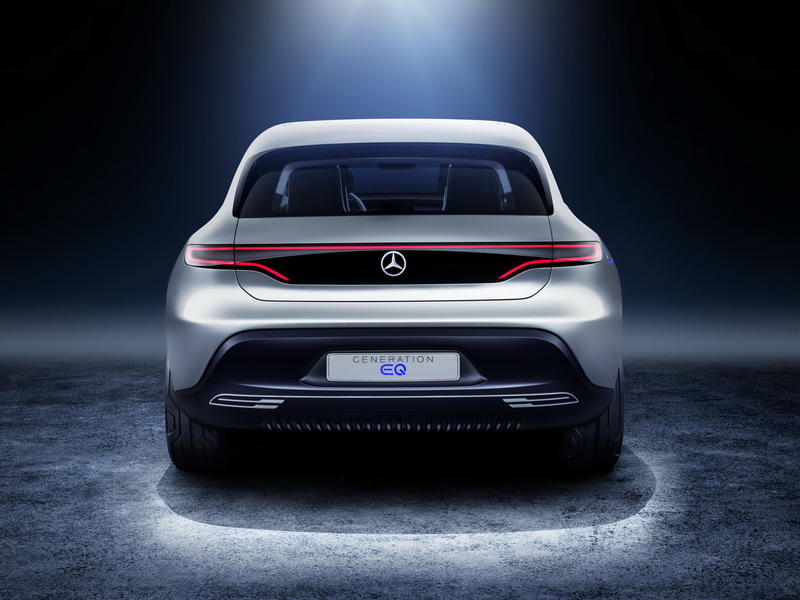 you had me on the 500km range, the 5 min charge time that gives the car ability to be driven for 100km,,,, that’s,,, WOW…. 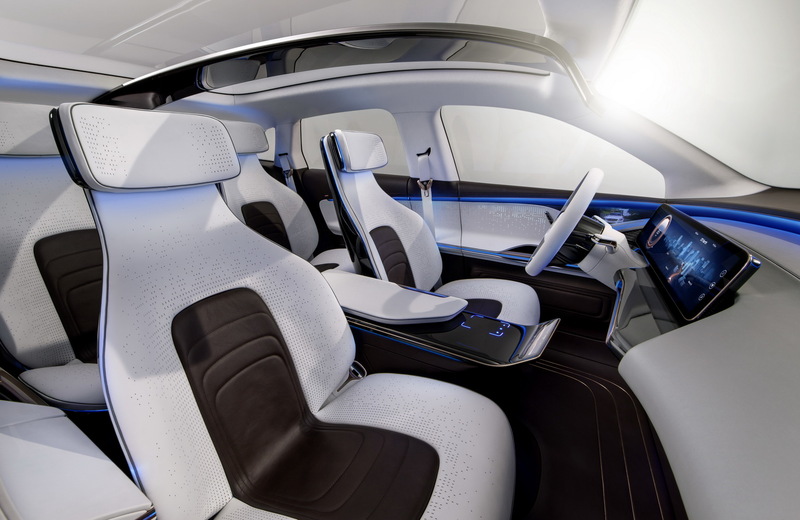 absolutely stunning and beautiful..
It’s 2016. You do not need to underline an electric power train with 10.000 lumens worth of blue LED’s. 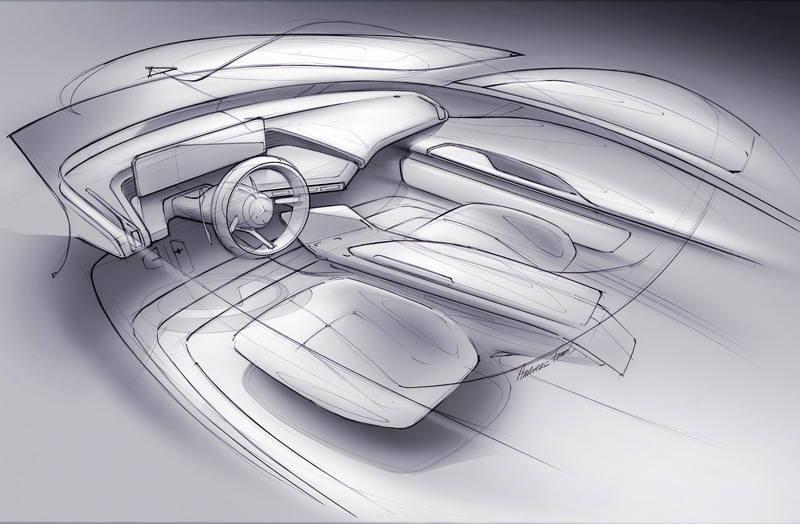 Promising idea. 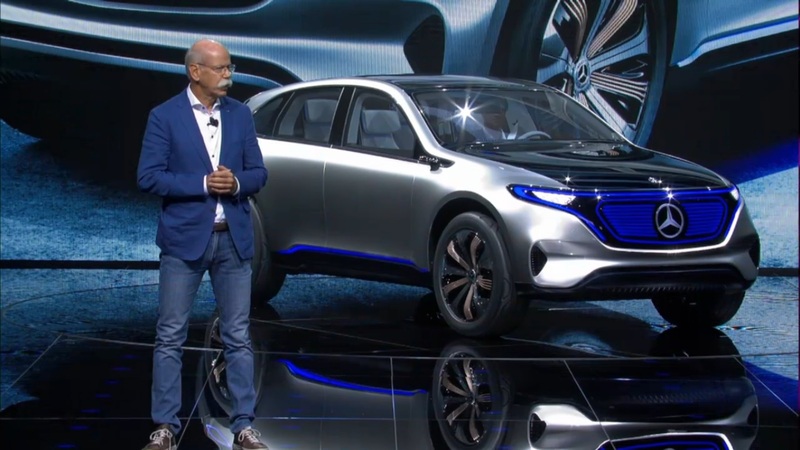 More importantly i never thought I’d live to see Mr.daimler wearing skinny jeans. 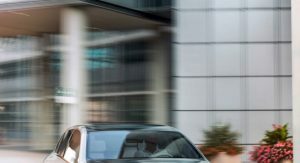 Kapow! 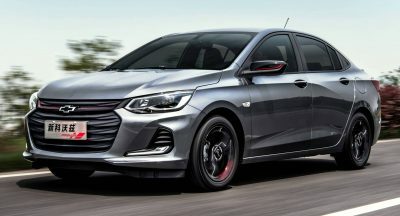 The hood is too long. 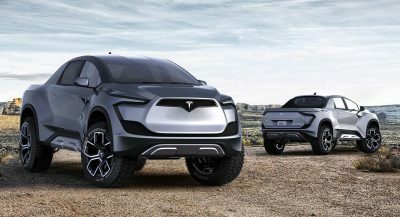 They do not need such a long hood in an electric vehicle. 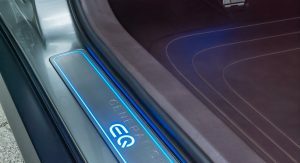 It does not say “Hey, I am electric!”. 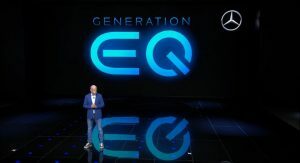 This is probably why they had to add that giant blue screen. Other wise, a nice design, that has Mercedes family in it, but is modern, distinct, and clean. 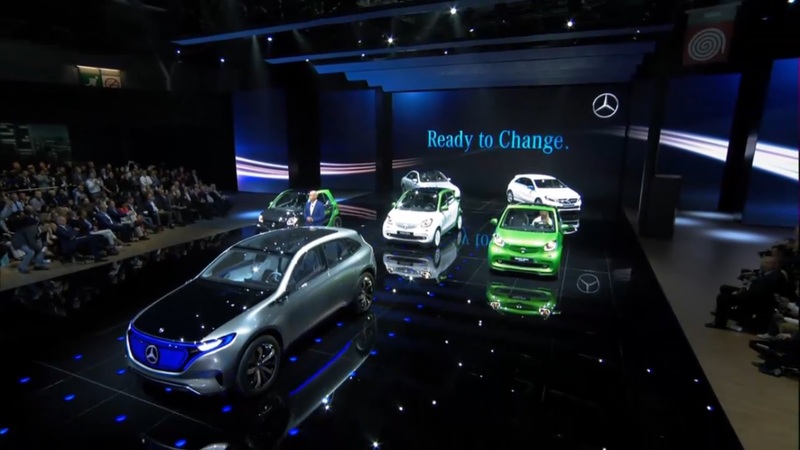 White, black and blue… so original ! 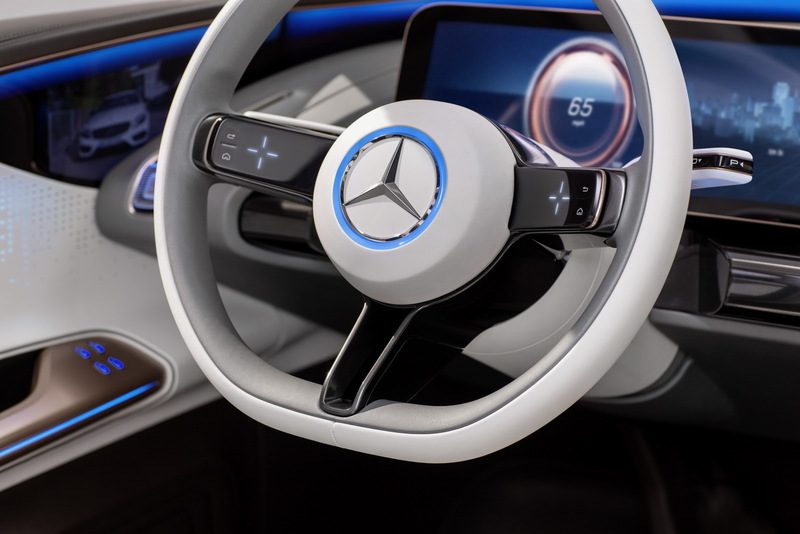 better blue than red though… lol. 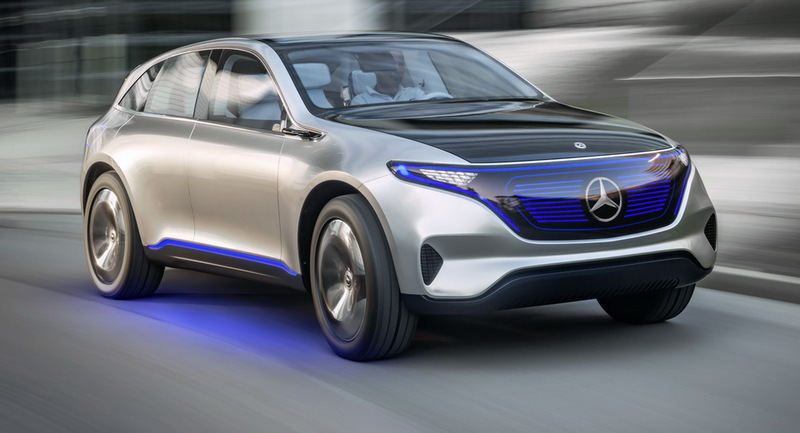 How original is this merc’concept!! 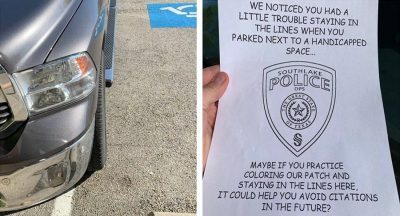 Ironic comment. 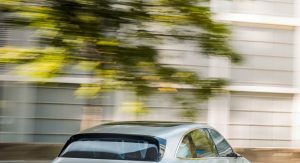 In 5 years when all the popular and premium automobile manufacturers start offering electric vehicles, will Tesla’s market share decline? 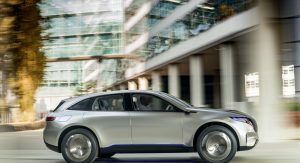 Porsche, BMW, Audi, Jaguar and Mercedes are all going to offer a 500km range electric car within 5 years. 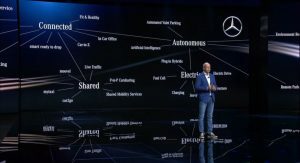 These brands are all in a similar price range. 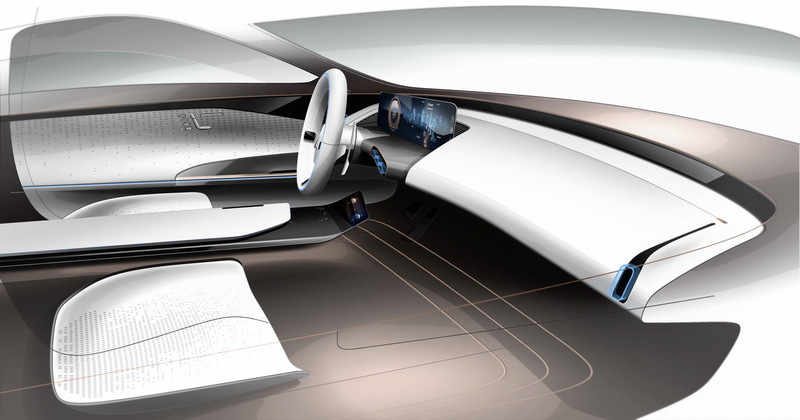 Interesting times ahead, for all automotive enthusiasts. 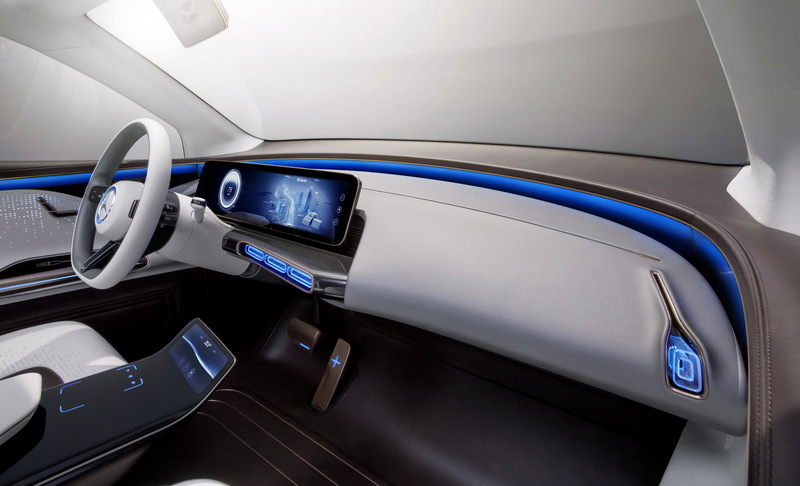 It’s a vehicle that runs on batteries, so naturally EVERYTHING should light up! 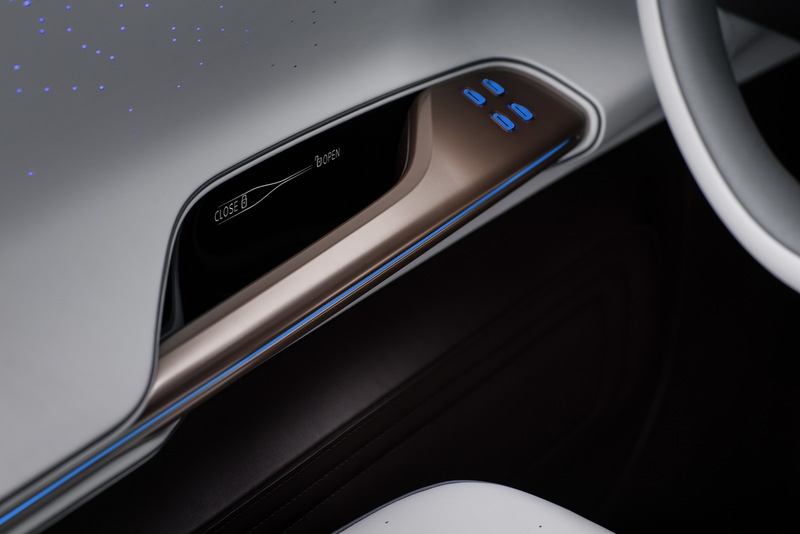 Including the air vents. 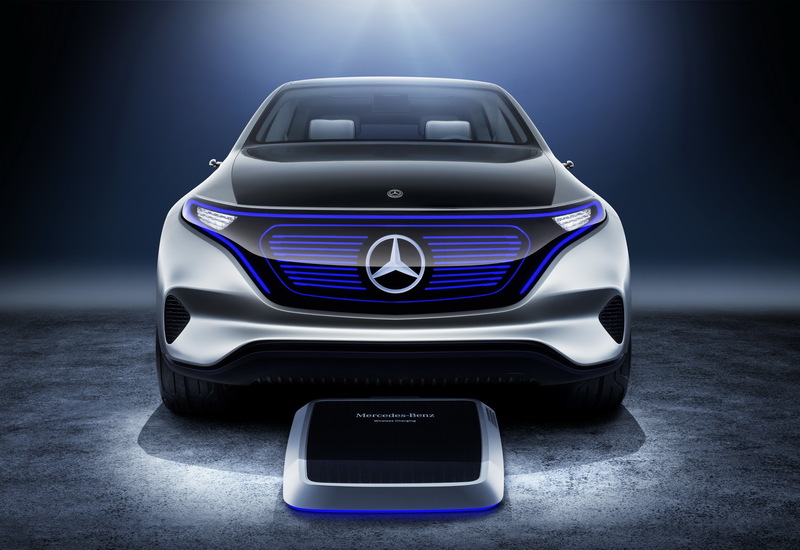 Because, who cares about conserving battery power. 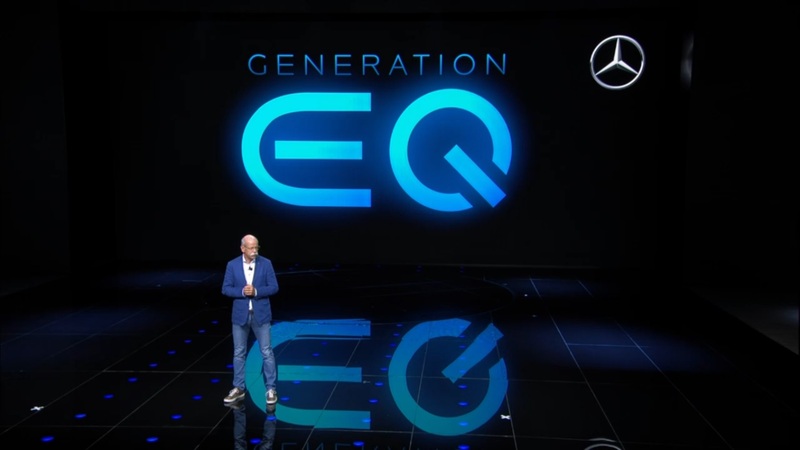 Their damn grill logo keeps getting bigger and bigger! 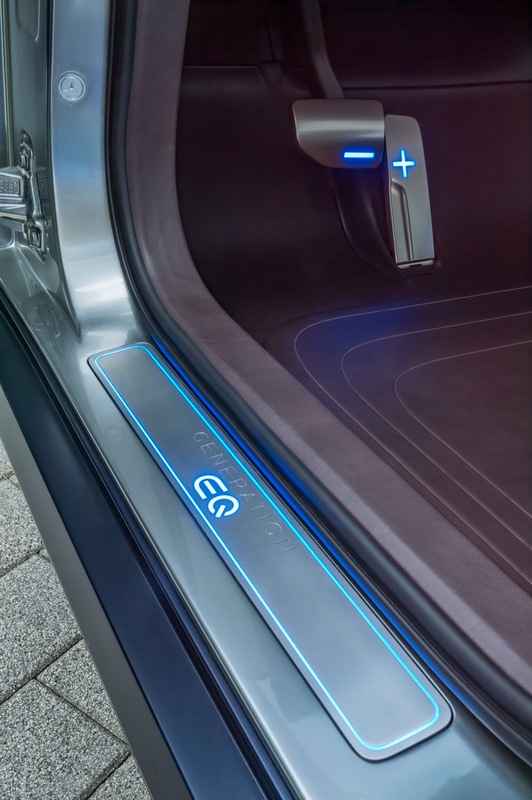 And on an ELECTRIC CAR. 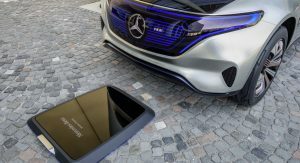 Are you THAT attention seeking, Mercedes? 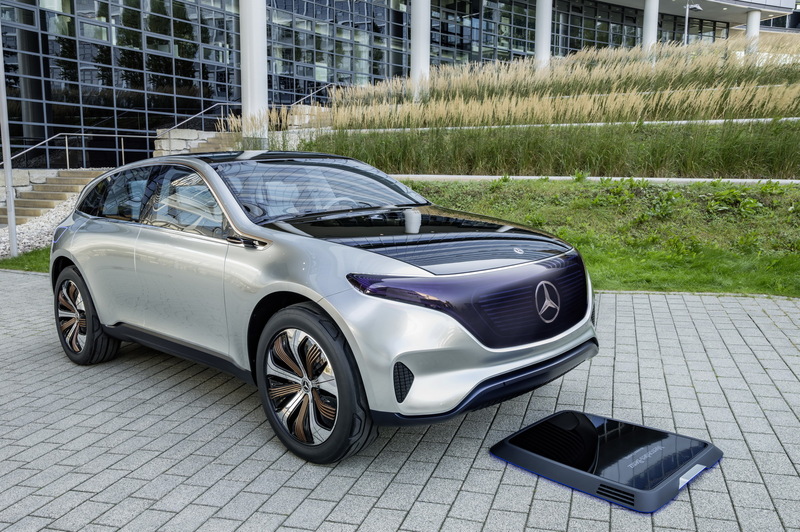 That front kills it. 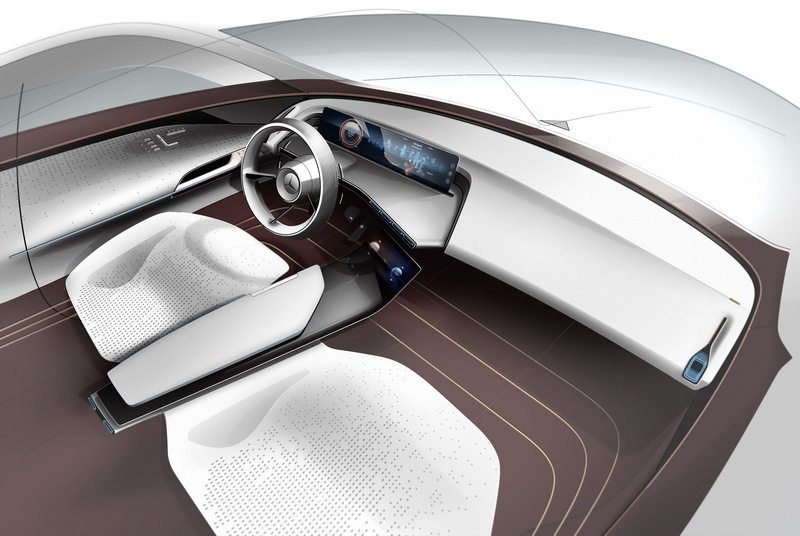 Audi and Tesla need to send you to design school. 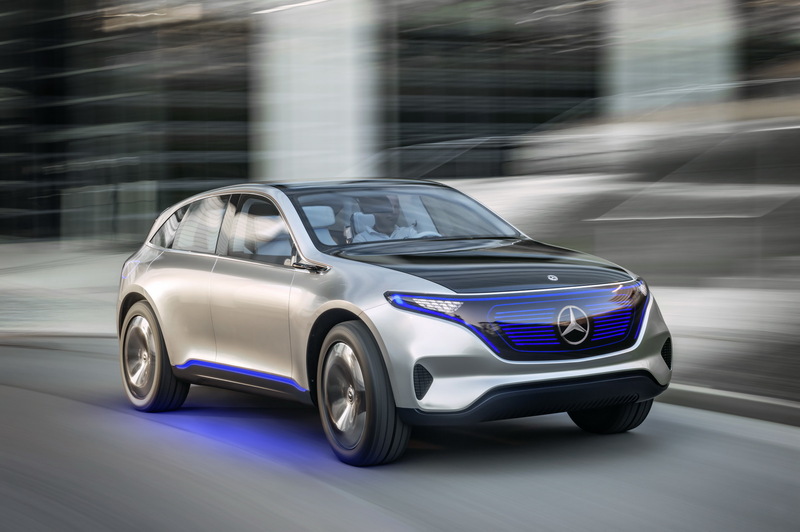 So this is what happens when you cross a GLC with an electric shock. 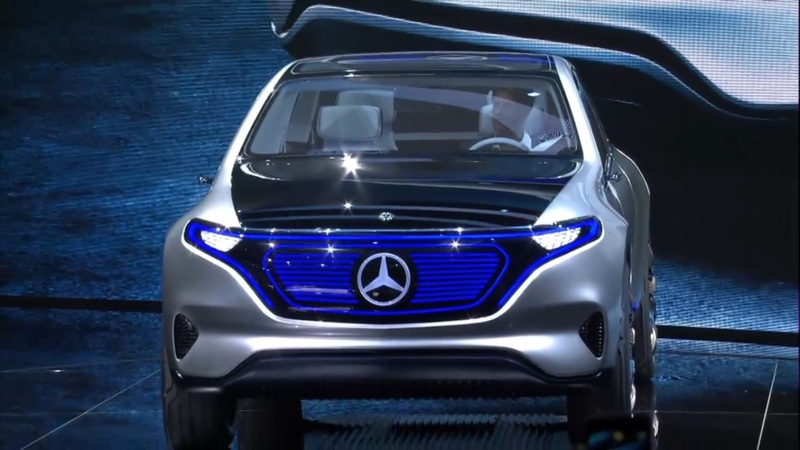 Not too bad.